Cut potatoes into 2 inch chunks. Put potatoes in large pot. Cover with a couple inches of water. Parboil just until fork tender. Heat oven to 500 degrees F. Coat a sheet pan with Primal Kitchen Avocado Oil. Drain the potatoes, and immediately toss and coat with Primal Kitchen Lemon Turmeric Vinaigrette & Marinade. 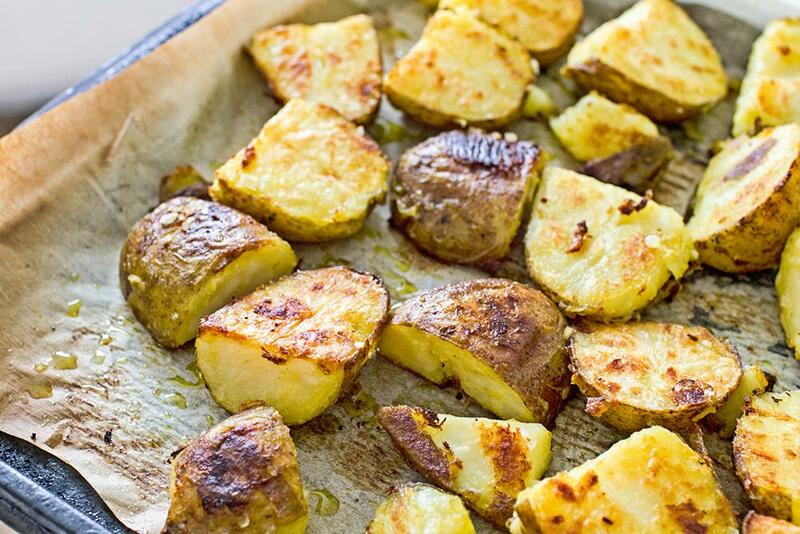 Place the potatoes on the parchment-lined & greased baking sheet. Sprinkle the slices heavily with salt. Roast the potatoes on the lowest rack for 10 minutes. Toss, and roast for another 10 minutes. Toss again, and roast another 10 minutes on a higher rack until the slices are crispy and golden.